Home Blog What Do I Replace my Cracked Terrazzo Steps with? What Do I Replace my Cracked Terrazzo Steps with? We have many people inquire with us in relation to replacing their cracked terrazzo steps. Terrazzo steps structure contains a metal rod running through the piece to ensure the strength and durability, however over time with age – like most things – they tend to crack. This is usually due to a combination of rust attacking the metal and pressure on the stone causing the terrazzo to crack. Terrazzo steps have been used for over 60 years in Australia and with over 95 variations/colours it isn’t a surprise that they are tough to match and replace nowadays. 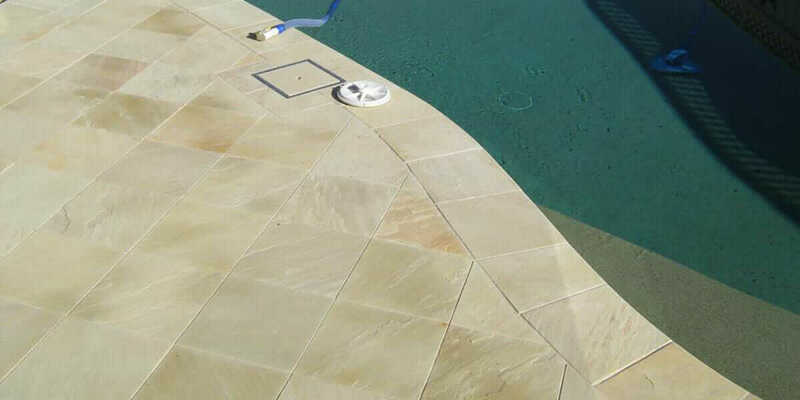 However, there are a number of alternative natural stone options available to replace Terrazzo steps, some of the more popular choices being Granite Treads and Bluestone Treads. There are many natural stone steps that can be used to replace existing Terrazzo. Listed below are some of the more popular choices we’ve highlighted for you. Granite and Bluestone – they are both great options for replacing terrazzo steps. Both options are very dense, slip resistant and are a great contrasting colour from indoor going outdoors. If longevity and darker matte tones tick your checklist – you don’t need to look past these two options. Available in anti-slip P5 rating, P2 honed and P5 flamed there is definitely something to suit all tastes. If you’d prefer something in the lighter colours and your house is more traditional/heritage, complement your existing colour scheme, you may opt for a Carrara Marble Step tread or a Slate Step Tread. Marble has been used for thousands of years to craft countless historic buildings as has Travertine. Both are easy on the eyes and classic materials to use around the home. It really comes down the colour combinations you’d like to achieve and we’re here to help you with that. Stone step treads are used for various purposes. 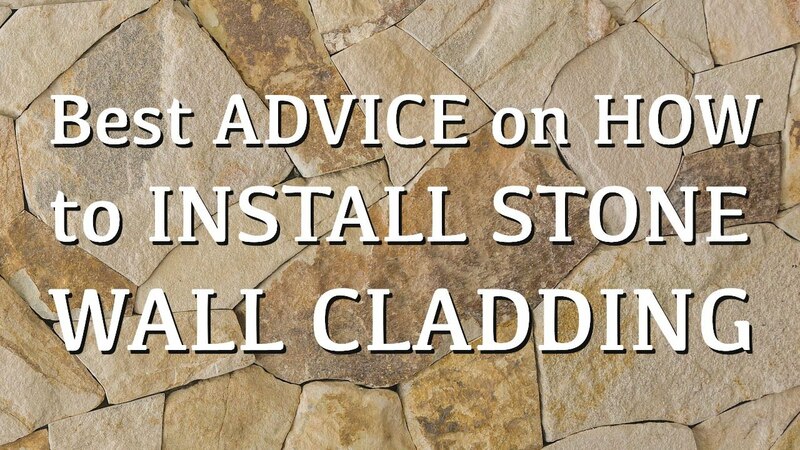 Whilst they are primarily crafted to be used as stone treads on stairs and stone doorsteps/thresholds, natural stone step treads can be used for a wide range of other purposes. 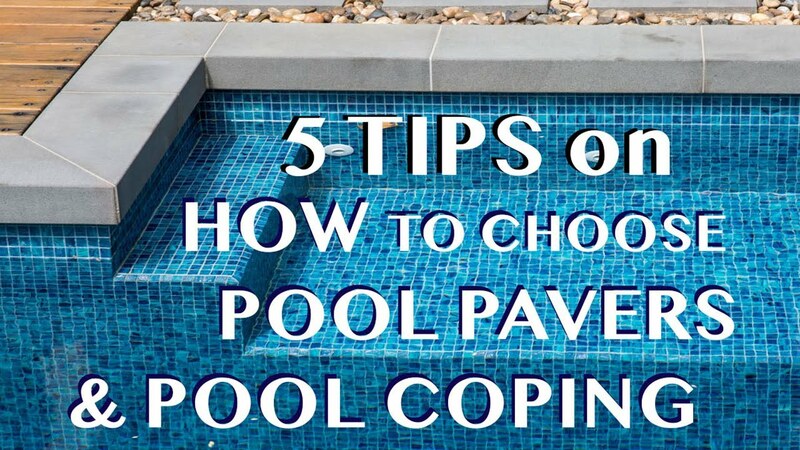 These versatile natural products are quite suitable for capping, pool coping and framing purposes. That said, most renovators use natural stone treads to add prestige to their outdoor stair or as front doorsteps. 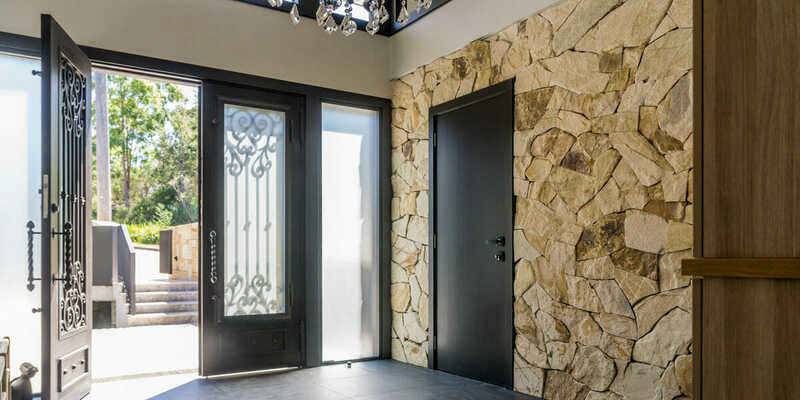 Natural stone steps are a welcoming addition to your front doorstep (or any other step) They add a very inviting appeal to your front doorstep or garden path. Moreover, natural stone treads bring that natural timeless feel as an alternative to Terrazzo treads with a sophisticated look that suits modern and traditional designs. Once you have replaced your steps, it is important to understand how to maintain your steps for the years to follow and which products are best to use without eroding the surface. We’re here to help with your replacement, should you require supply or supply and install, Armstone can do it all.